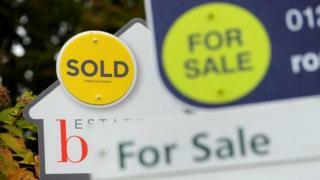 House prices rose in February at the slowest rate since September 2012 while in London house prices fell, the Office for National Statistics said. The Bank of England targets inflation – the rate of price increases – at 2% and last month kept rates unchanged at 0.75%, where they have been since August last year. Other indicators have pointed to a subdued housing market. Halifax, the UK’s biggest lender, said earlier this month that property prices had fallen by 1.6% in March compared with February. At 1.9%, the latest inflation rate, measured by the Consumer Price Index, was a little lower than the 2% that had been forecast by economists. Inflation in the games, toys and hobby sector fell to 1.1% in March from 3.1% in February helping to keep a lid on the overall basket of prices. Average petrol prices were 1.2p per litre higher at 120.3p. Mr Brettell said the inflation number made the Bank of England’s job easier “as there’s no pressure to raise rates as it grapples with continued uncertainty over Brexit”. Howard Archer, economic adviser to the EY Item Club of forecasts said it was “decent news for both consumers and the Bank of England”. It comes after data on Tuesday had shown that average weekly earnings, excluding bonuses, rose 3.4% in the three months to February and the unemployment rate lower than at any time since the end of 1975. The Bank of England’s Monetary Policy Committee will meet next month to discuss rates. Mr Archer said: “Despite a tight labour market, it is difficult to see the Bank of England raising interest rates at their May meeting or any time soon, amid likely MPC concern that prolonged Brexit uncertainties will likely to weigh down on the economy”. However, Samuel Tombs, chief UK economist at Pantheon Macroeconomics, said that the inflation data would not give the MPC “breathing space” to keep rates on hold because “the labour market is still tightening and the economy is coping with Brexit uncertainty”. The Bank of England has said that economic outlook would continue to depend “significantly on the nature and timing of EU withdrawal”. In the short-term economists say pressure on inflation could come from household energy prices in April when energy regulator Ofgem increases its price cap by 10%. Mr Archer said it was “questionable” whether earnings growth can continue as the growth in wages dipped to a five-month low of 3.2% in the month of February.